On route D561 which links Rians (7km.) 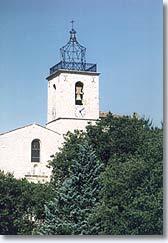 to Varages (13 km.). Situated between Rians and Varages in the west of Haut Var, Esparron de Pallieres is a little village dominated by a dungeon which seems to keep watch over the inhabitants. It is hard to imagine that in this peaceful village historic battles took place, and in particular the battle of Esparron in 159l, between the Royalists and the troops of the Duke of Savoie. 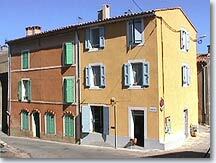 The village hasn't changed, It is built up around the castle and has ancient streets and beautiful houses with lintels. 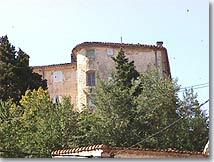 The private castle dates from the 13th and 14th centuries. It was restored in the 18th century. Assumption Church (17th.c.). Notre Dame de Revest chapel. Outings in the area. La Ferme du Grand Adret, hills of l'Ouvrière. 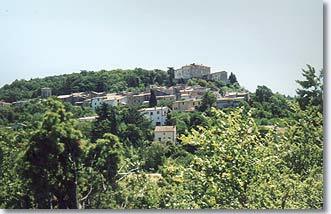 Artigues (4 km) and Saint Martin (3 km).